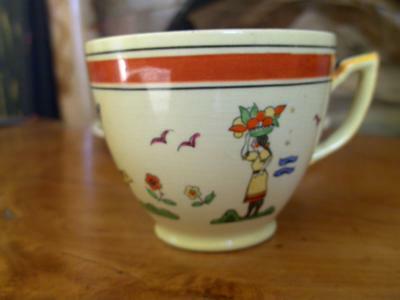 I picked this Minton Tea Cup & Plate up at a car boot sale. 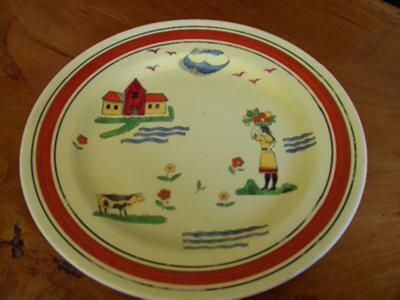 I have tried researching the Minton Teacup & Plate on the internet and all I can find out is that they were designed by Reginald Haggar and date to c1930. I would love to know how many pieces Haggar made in this style or any other. 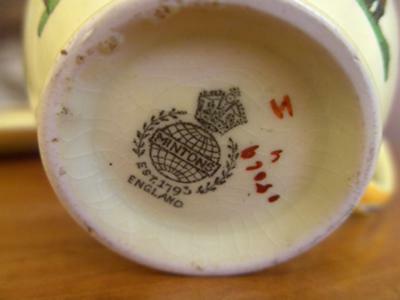 Whether this Minton Teacup & Plate are collectable and maybe an approximate value for the 2 items. Thank you for looking and I hope that someone can help me with this lovely pair of Minton collectables. Louise your teacup and saucer are probably earlier than you think. 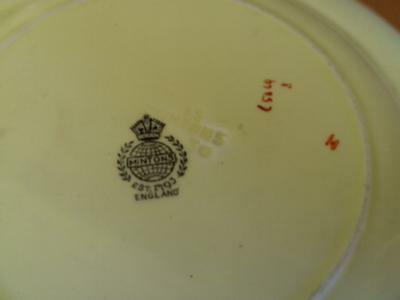 I can’t make out the impressed marks from your photos, and you should use these to check against the Minton year cyphers listed in the Minton section.